using their wits to find food and shelter, dodging danger, begging for coins. But Ivan can’t stay hidden from the world of people forever. When help is finally offered to him, will he be able to accept it? Will he even want to? A heart-pounding tale of survival and a moving look at what makes us human. ​Something dark has woken in the British Museum, and it has stopped time, literally freezing the city in its tracks. The people are there, but unmoving, unseeing – like statues. The statues, on the other hand, can move, and are astonished at what they see. 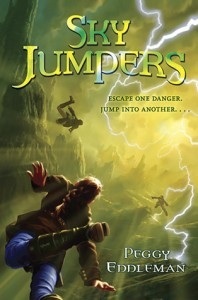 Ordinary citizens risk everything to save a young Jewish girl in wartime Holland. ​Five-year-old Beatrix looks on in horror as the soldier forces her mother off the tram. It is 1942 in Amsterdam, and everyone knows what happens to Jews who are taken away by the Nazis. The soldier turns his attention to Beatrix, when suddenly, the ticket-taker, Lars Gorter, blurts out that she is his niece. With his brother Hans, the tram conductor, they manage to rescue the child from the same fate as her mother. The two elderly brothers realize that they are now in charge of the little girl. They are at a loss — after all, neither one has ever married, let alone has children. They know that harboring a Jew could cost them their lives, but in desperation, they turn to a neighbor, Mrs. Vos, for help. But even these kindly rescuers cannot shield Beatrix totally from the horrors of war. Based on real events, this suspenseful novel vividly portrays the fear, uncertainty, and terror of the Nazi occupation in Holland. It is a story that reflects both the worst and best of humankind. 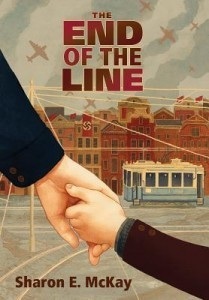 A worthy addition to children’s books about the Holocaust, “The End of the Line” will leave young readers to ponder how the most dreadful conditions can lead ordinary citizens to perform the most heroic acts. People like Lars, Hans, and Mrs. Vos, who risked their own lives to save Jews in wartime Europe, were later recognized and honored as “Righteous Gentiles. 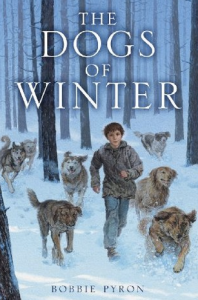 In a world where animals no longer exist, twelve-year-old Kester Jaynes sometimes feels like he hardly exists either. Locked away in a home for troubled children, he’s told there’s something wrong with him. So when he meets a flock of talking pigeons and a bossy cockroach, Kester thinks he’s finally gone crazy. But the animals have something to say. And they need him. The pigeons fly Kester to a wild place where the last creatures in the land have survived. 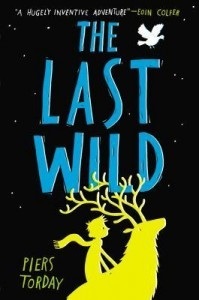 A wise stag needs Kester’s help, and together they must embark on a great journey, joined along the way by an overenthusiastic wolf cub, a military-trained cockroach, a mouse with a ritual for everything, and a stubborn girl named Polly. The animals saved Kester Jaynes. But can Kester save the animals? 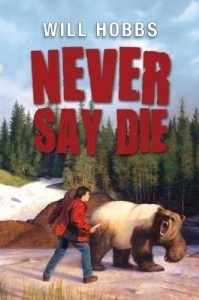 When the motto of your village is “never say die,” you have a lot to live up to. . . . Returning to his village, Nick receives a letter from the half brother he’s never met. A former Grand Canyon river guide, Ryan Powers is now a famous wildlife photographer. He’ll soon be coming to Nick’s part of the world to raft the remote Firth River in search of huge herds of migrating caribou. Ryan also wants to learn what Inuit hunters are saying about climate change in the Arctic. He invites Nick to come along and help him find the caribou. Barely down the river, disaster strikes. 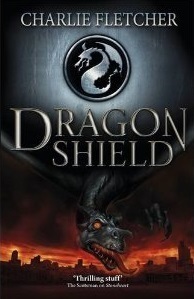 Nick and Ryan are both thrown into the freezing river and find themselves under a ceiling of solid ice. With nothing but the clothes on his back and the knife on his hip, Nick is up against it in a world of wolves, caribou, and grizzlies. All the while, the monstrous grolar bear stalks the land. 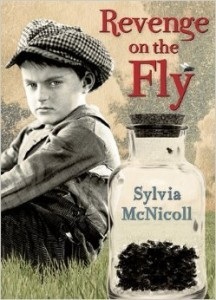 In the year 1912 cities around the world waged war against the fly in a desperate attempt to control disease. In England, twelve-year-old William Alton lost his mother to the white plague and his sister to summer complaint. When Will and his father emigrate to Canada for better opportunities, he also looks for answers. Why does everyone he know have to get sick and die? 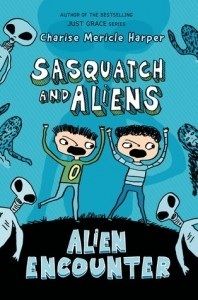 Nine-year-old Morgan is fascinated with aliens. He lives in the Pacific Northwest, land of the sasquatch, and naturally is fascinated with those as well. When he meets new kid Lewis, whose parents own a motel named the Stay On Inn, the adventures begin with slingshots, underpants, annoying older sisters, and neighbors dressed up in bear suits. 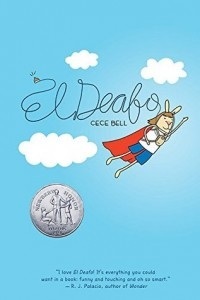 ​But Hope is terrible at inventing and would much rather sneak off to cliff dive into the Bomb’s Breath—the deadly band of air that covers the crater the town lives in—than fail at yet another invention. 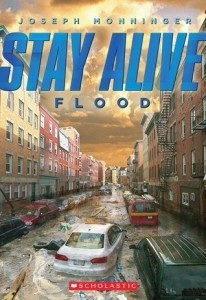 When a heavy storm causes their town to flood, a group of kids must fight to survive against the harsh elements. But the storm is just the beginning of their worries. After all the power goes out, they’re going to have to scrounge to find water, food, and a dry place to stay. Who will stay alive?